What's Poppin' Tonight! STORY Miami & Headliner Market Group presents SOULJA BOY + Simply Jess Birthday Celebration at STORY Nightclub ~ Phresh Hott New! 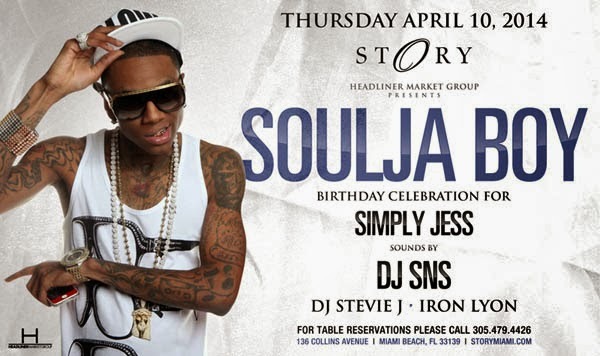 STORY & Headliner Market Group present Soulja Boy at STORY Miami. Plus celebrating the birthday of Simply Jess.